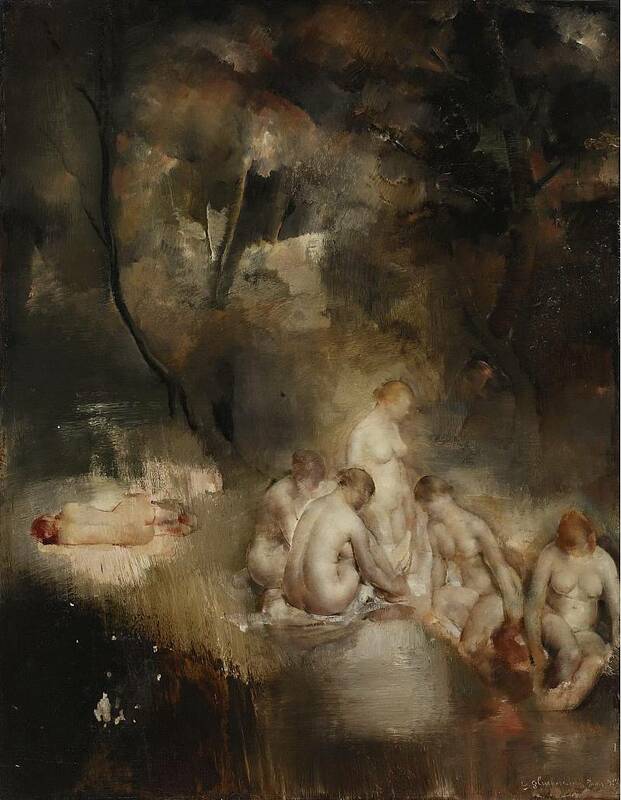 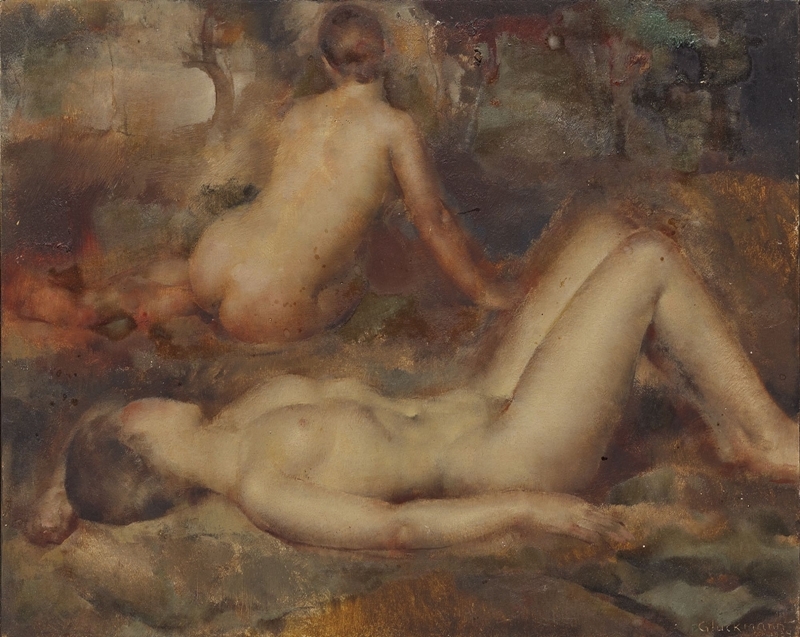 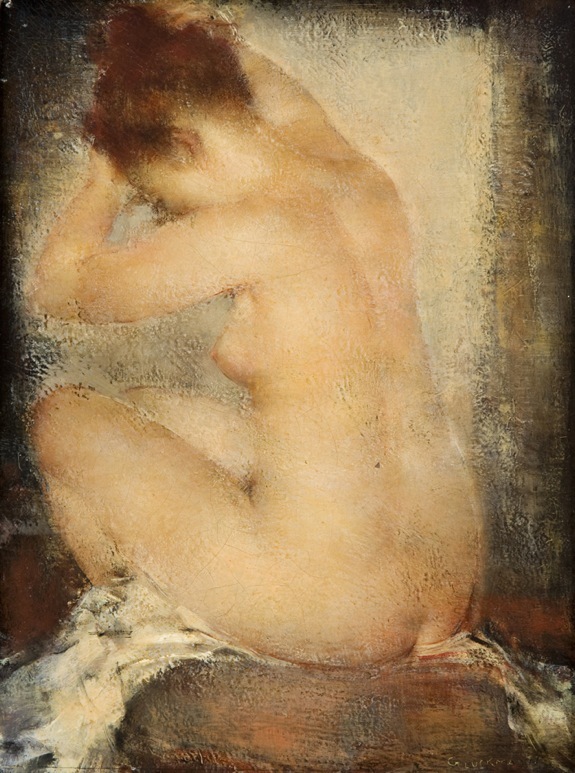 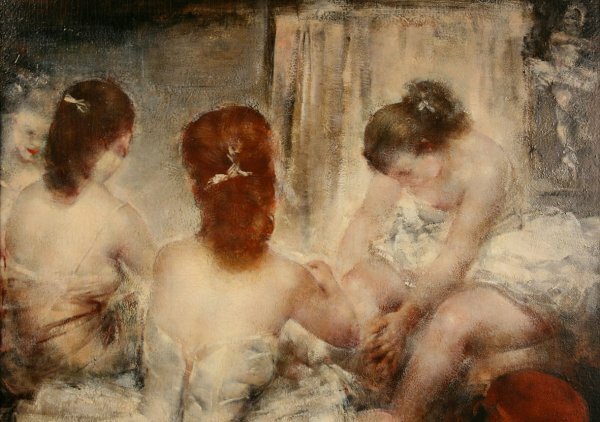 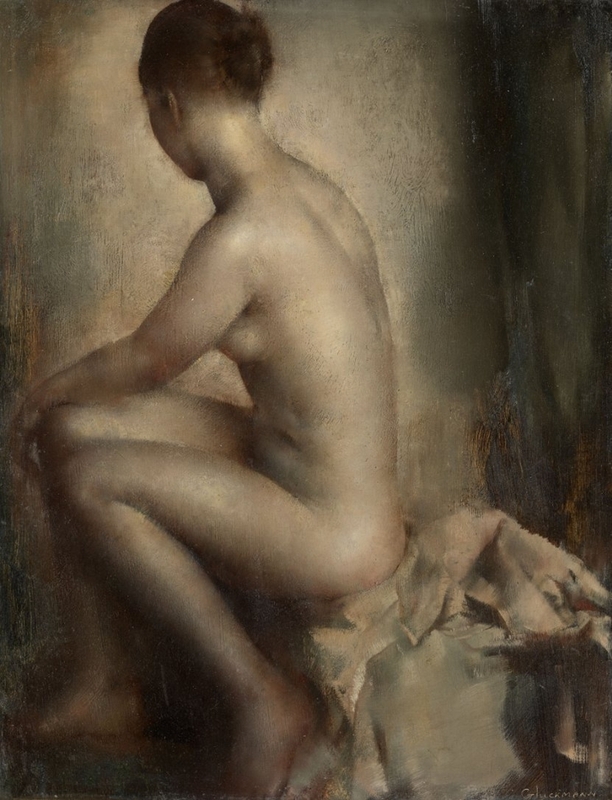 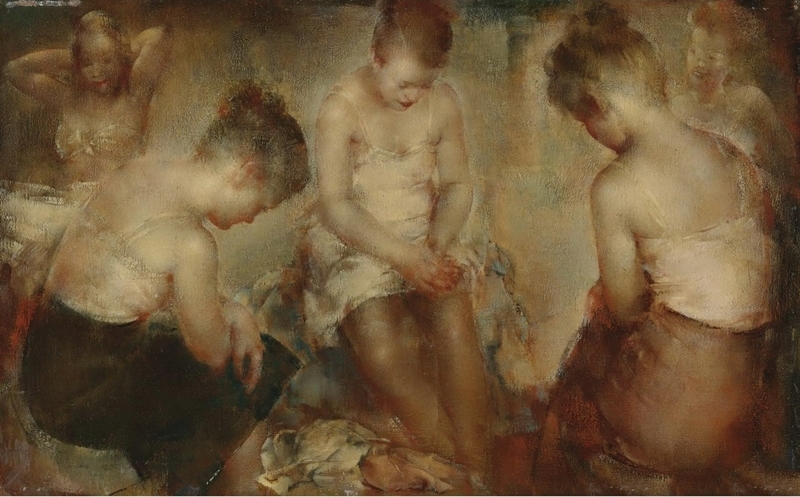 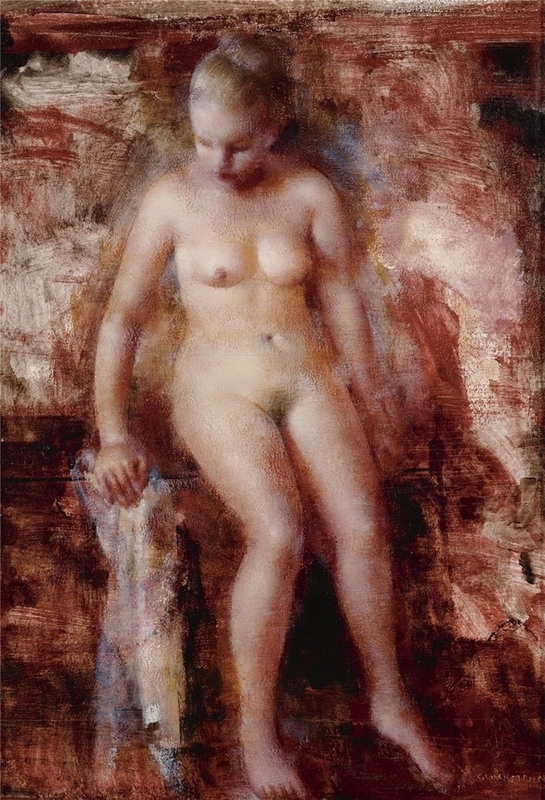 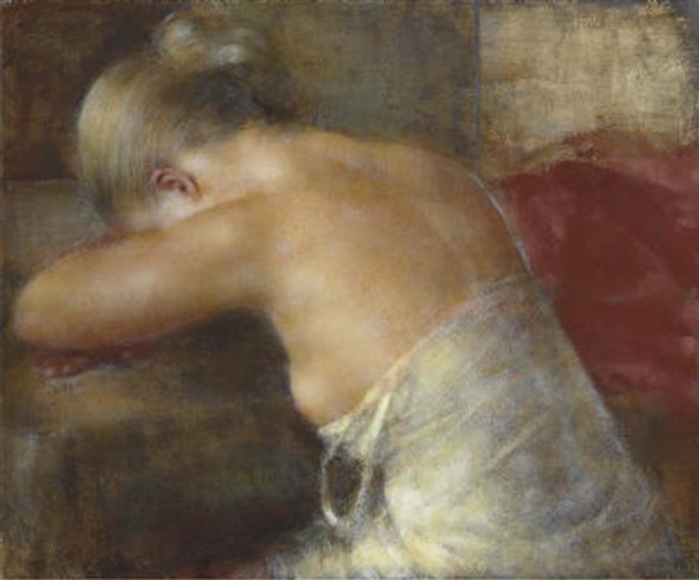 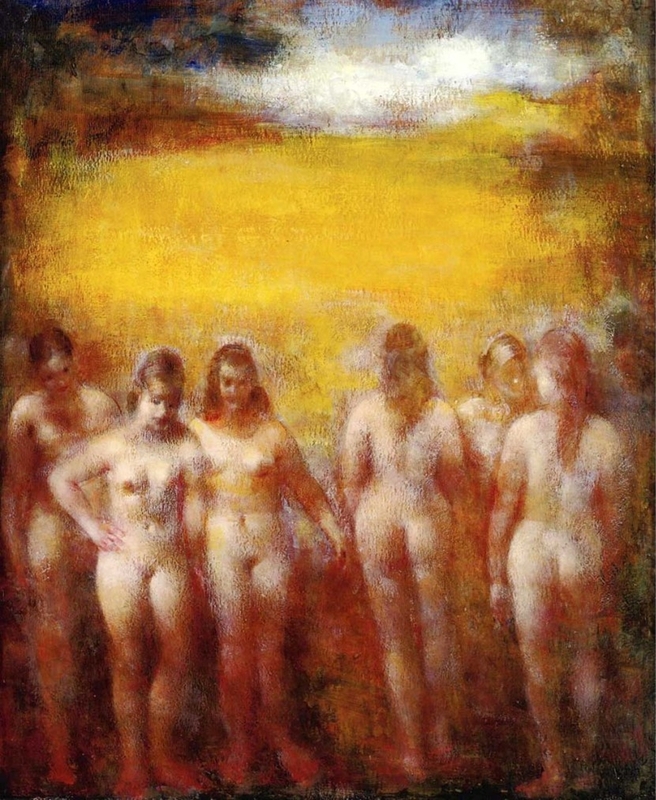 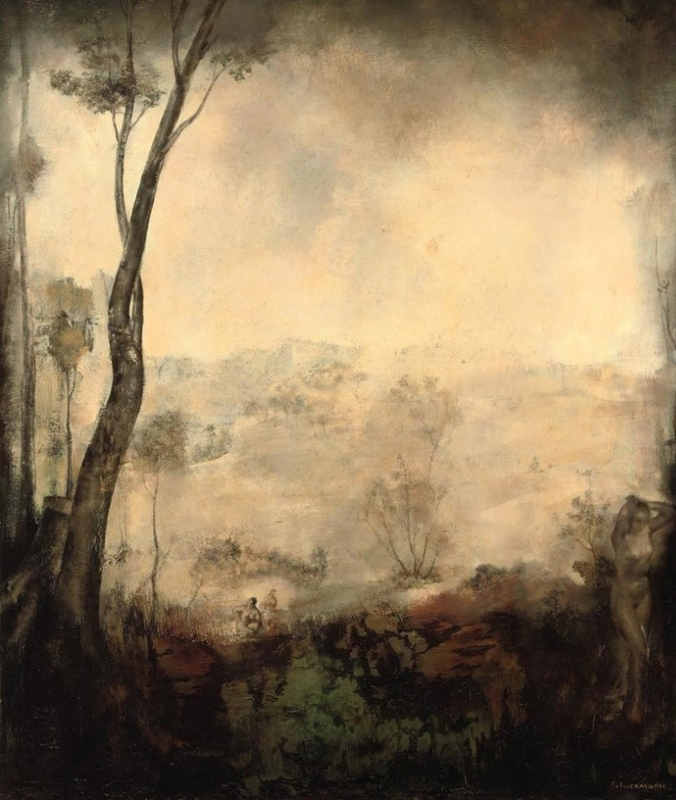 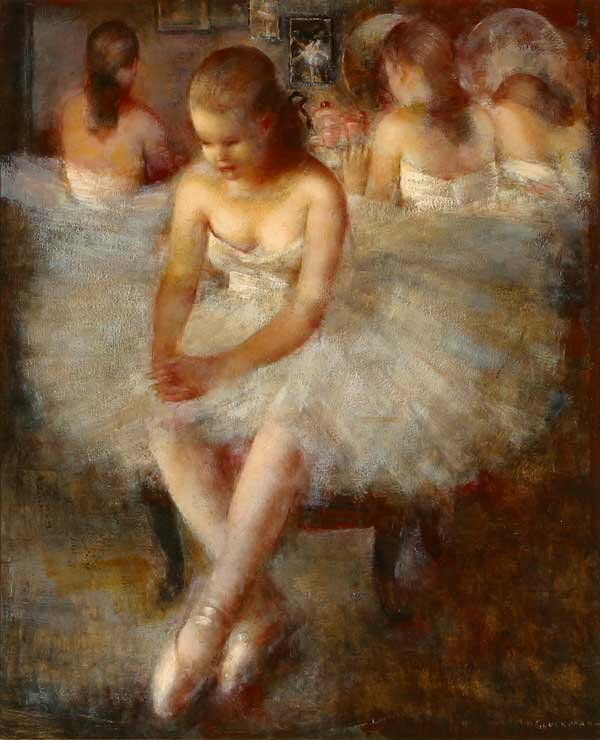 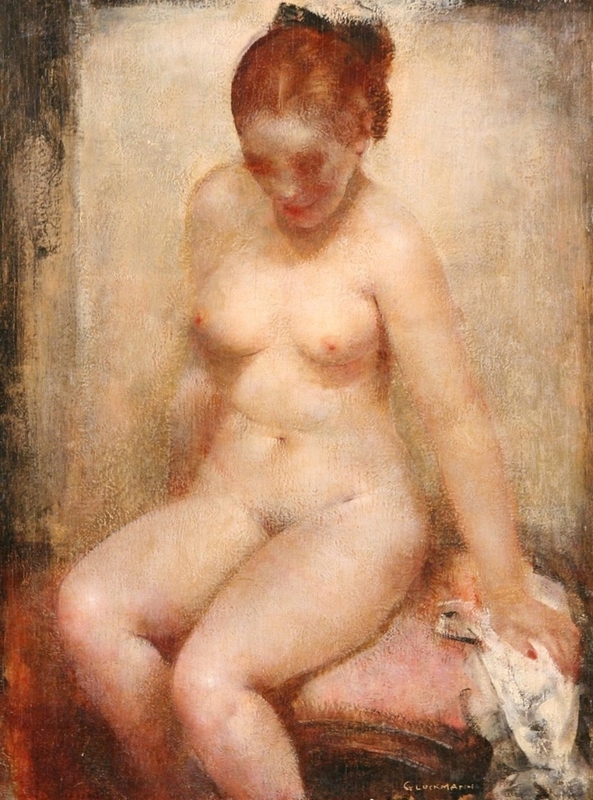 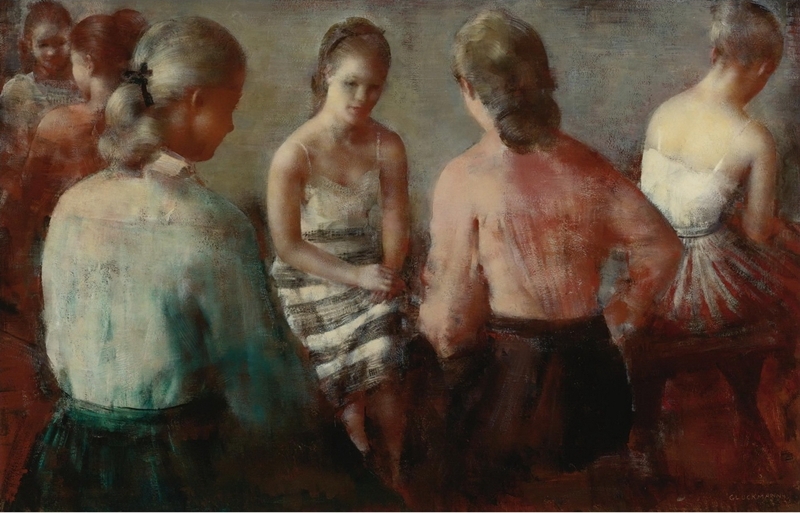 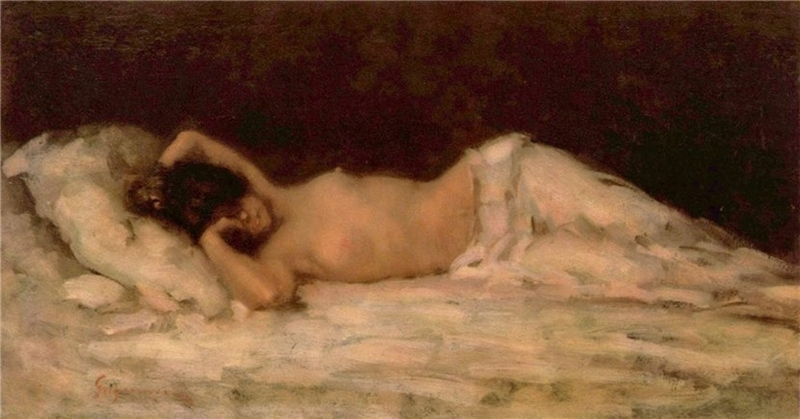 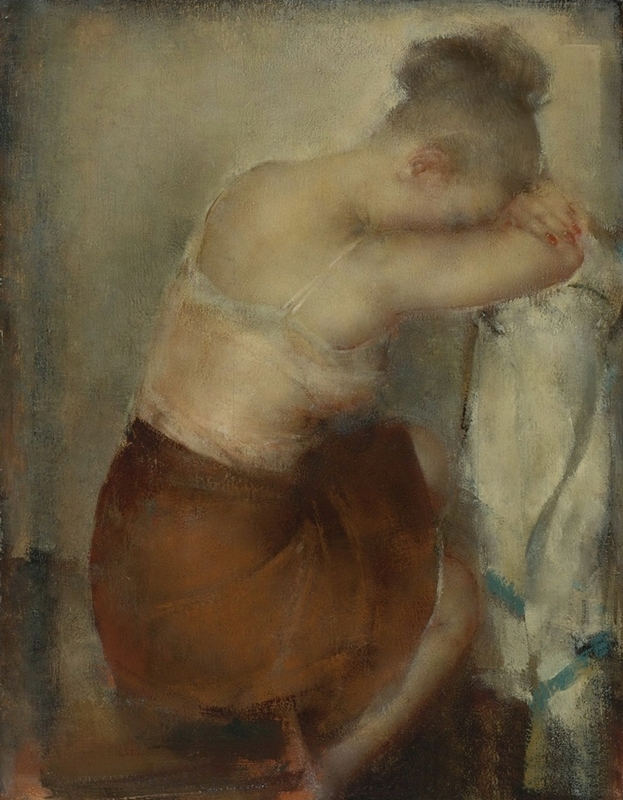 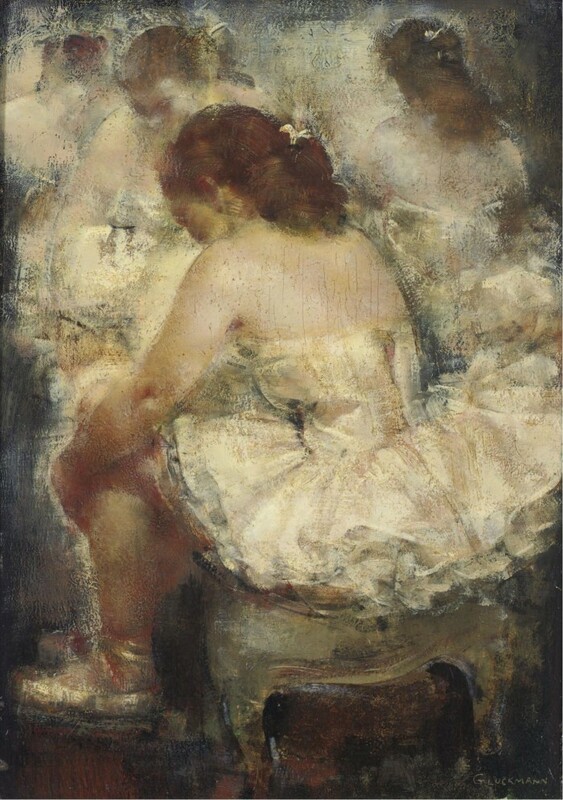 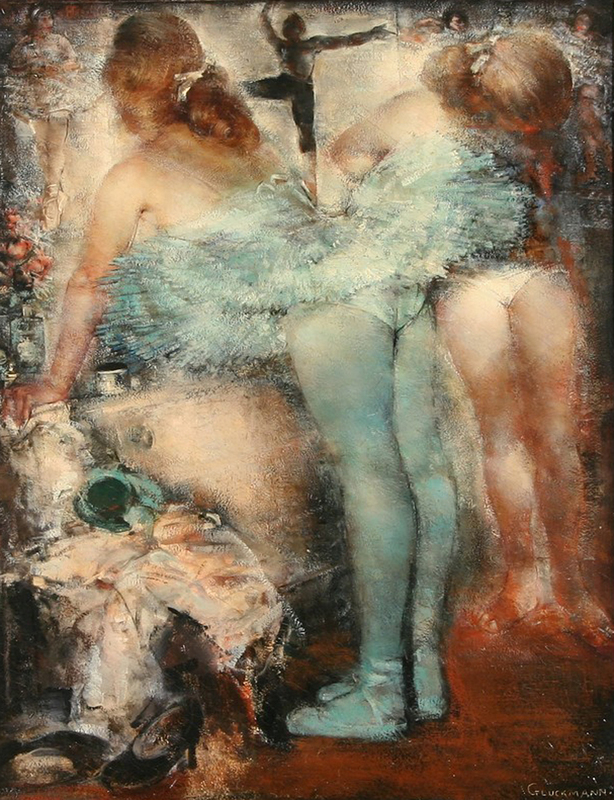 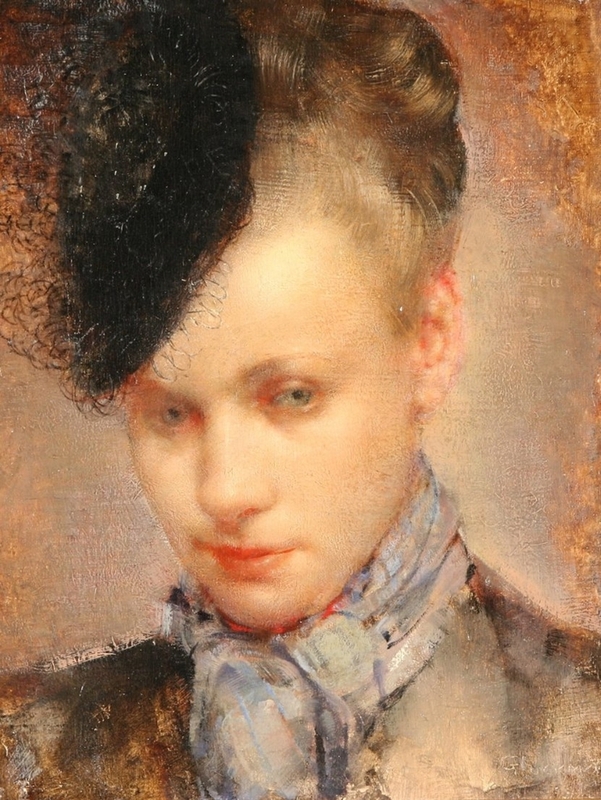 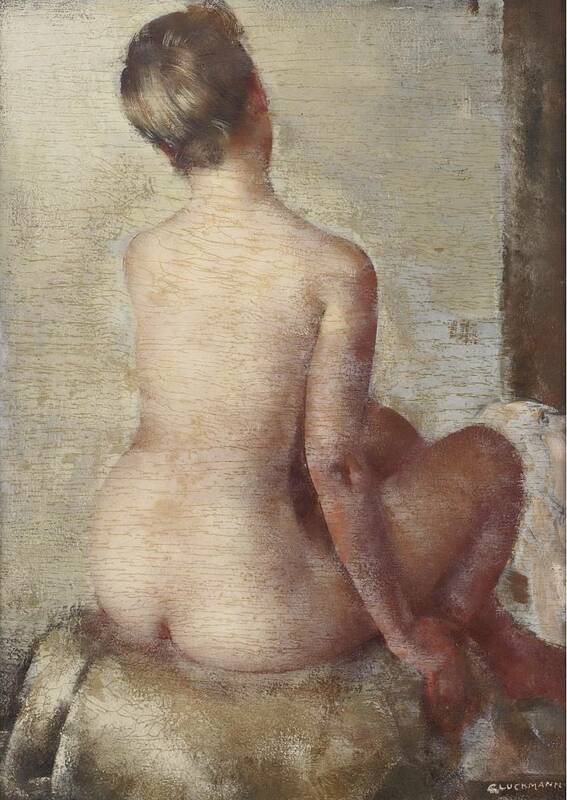 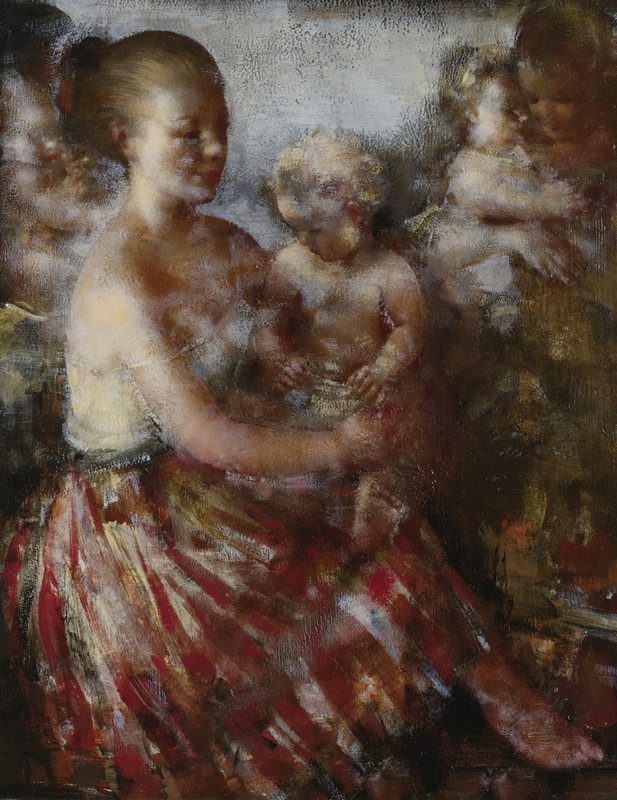 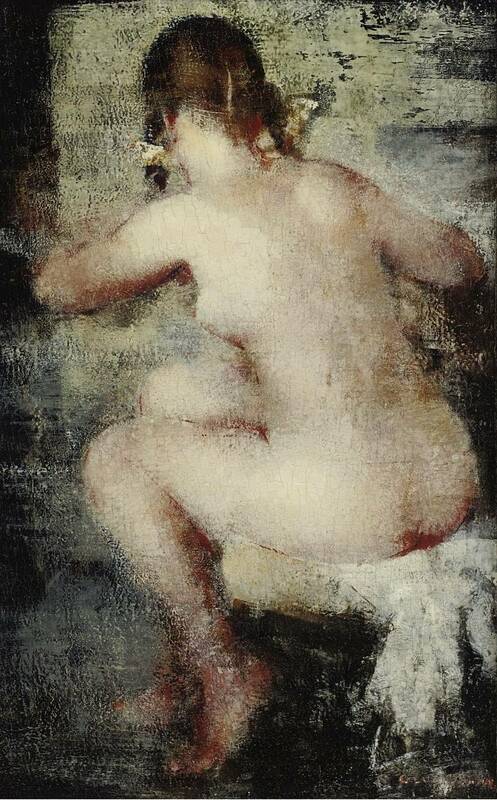 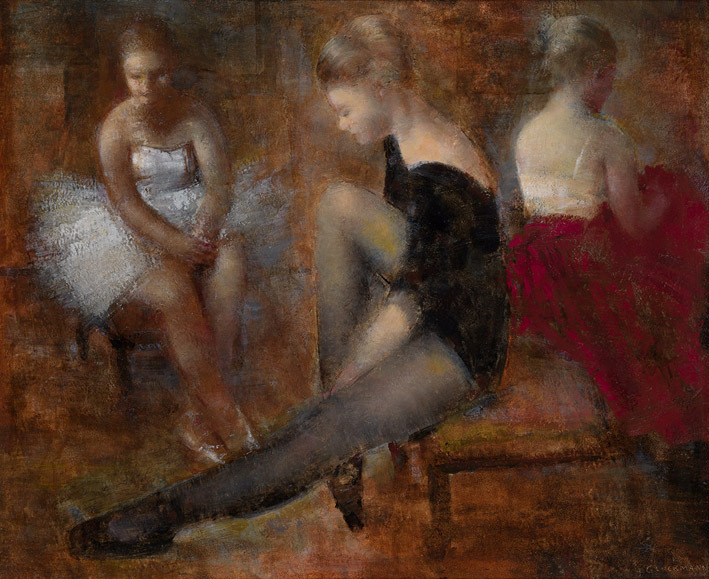 Russian-born American painter Grigory Gluckmann [Григорий Глюкман] 1898-1973 studied in Ecole des Beaux-Arts, Moscow. 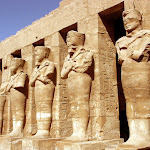 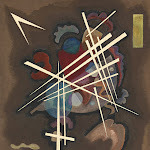 Completed his art training just at the time of the Revolution. 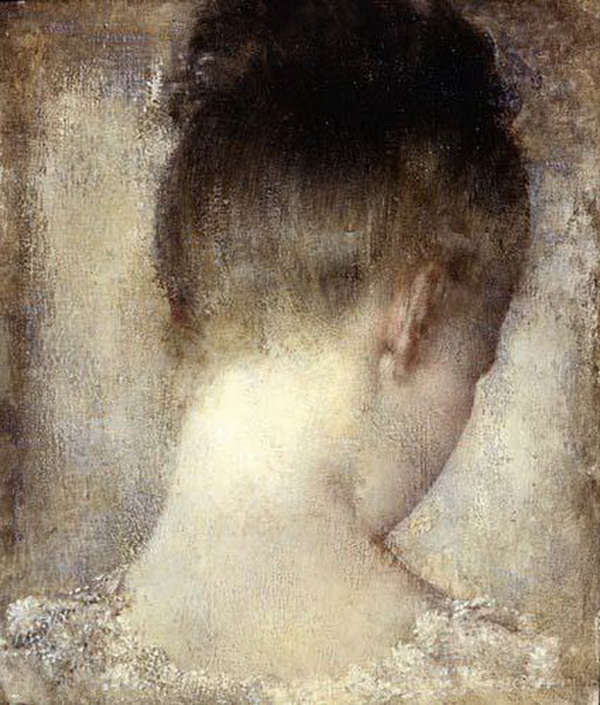 He eventually escaped to Germany, where he continued his art studies, and then went on to Florence, where he spent a year studying and familiarizing himself with the masters of the Renaissance, this latter period becoming one of the major influences in the development of his own mature style. 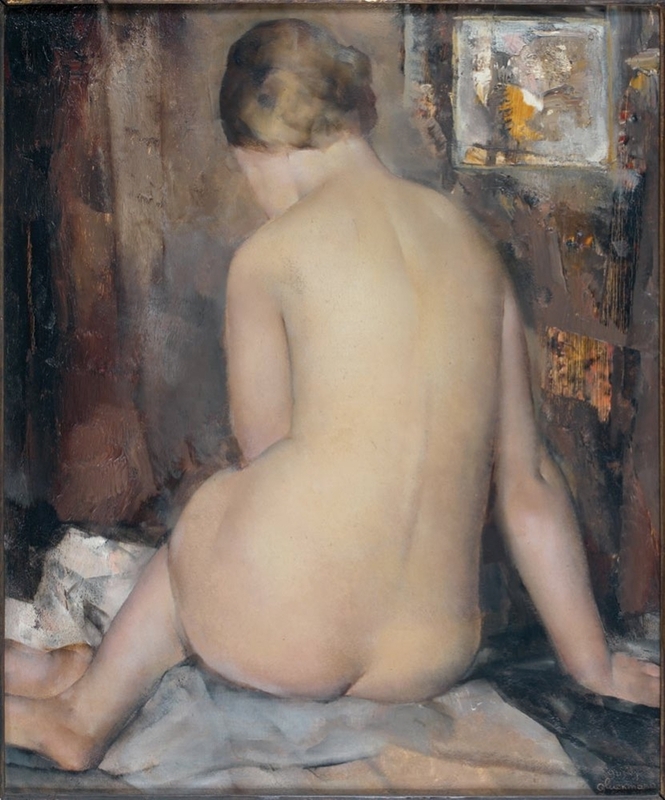 After his Italian sojourn, he settled in Paris in 1924 to work and to launch his professional career as an artist. 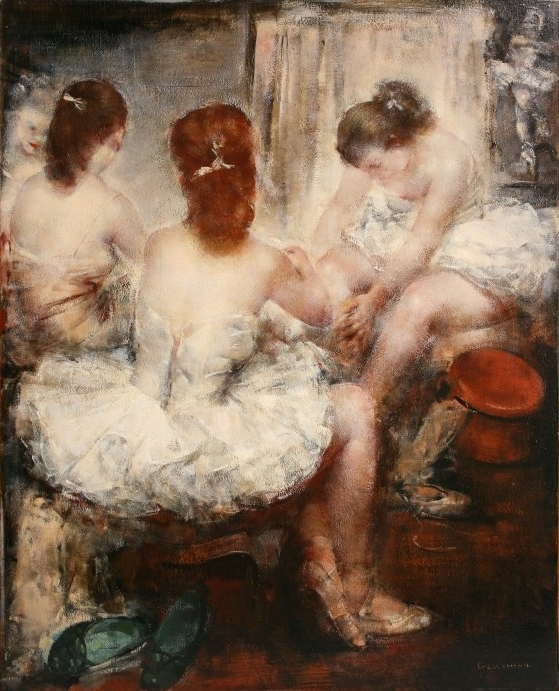 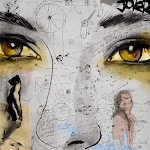 His success there began with his first one-man exhibition in 1924 at the famous Galerie Druet on the Rue Royale when critics hailed him as an artist of extraordinary ability and talent. 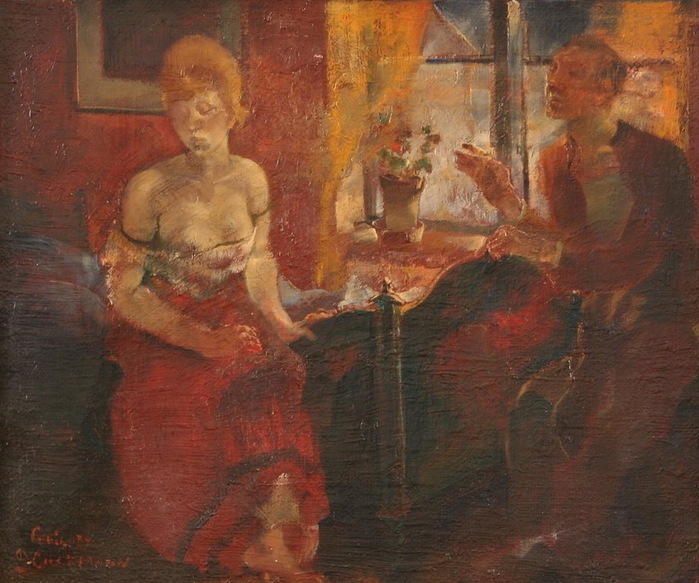 Then followed many exhibitions held in France and other European countries, including a comprehensive exhibition of his most significant work at the Galerie Charpentier in 1934. 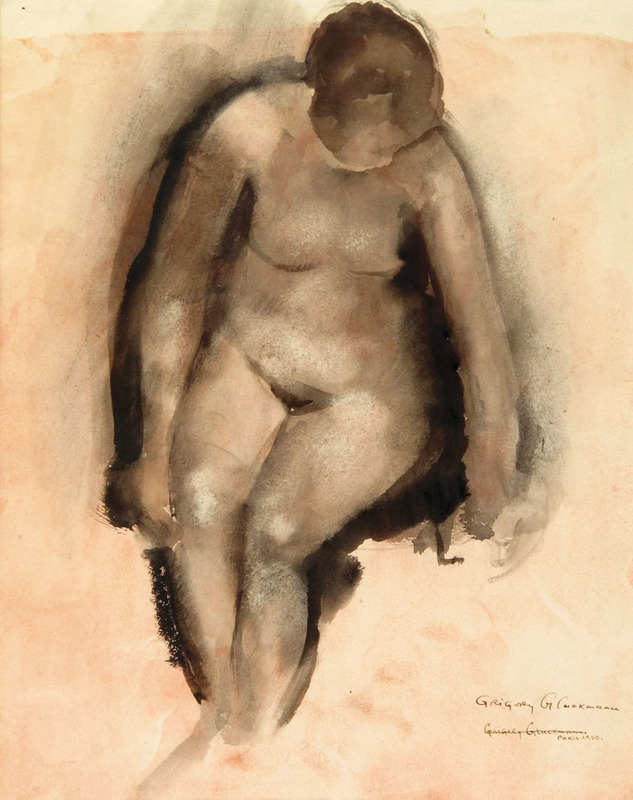 His first American exhibition was held in 1937, followed by regular exhibitions on both the East and West coasts, strongest affiliation California. 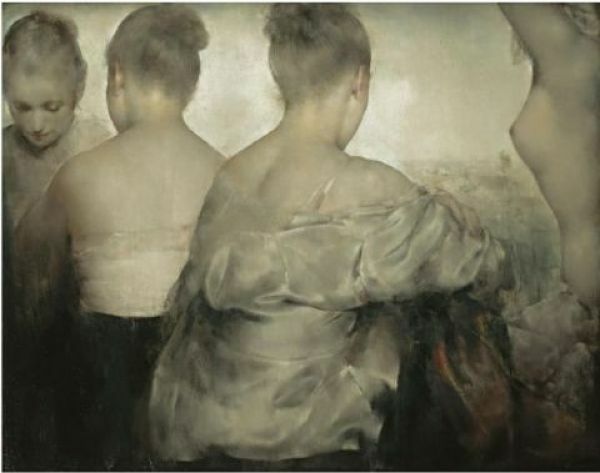 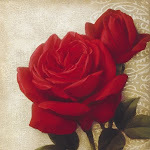 Honors and awards have been accorded him in various parts of the country and his paintings are now owned by a number of major American and French Museums.